Halloween has always been a fun time in our house. At first, my daughter didn’t have a say in her costumes. I just dressed her up as I pleased. Almost 1 year old: Pebbles. Just ’cause she kind of looked like her, except without the red hair. 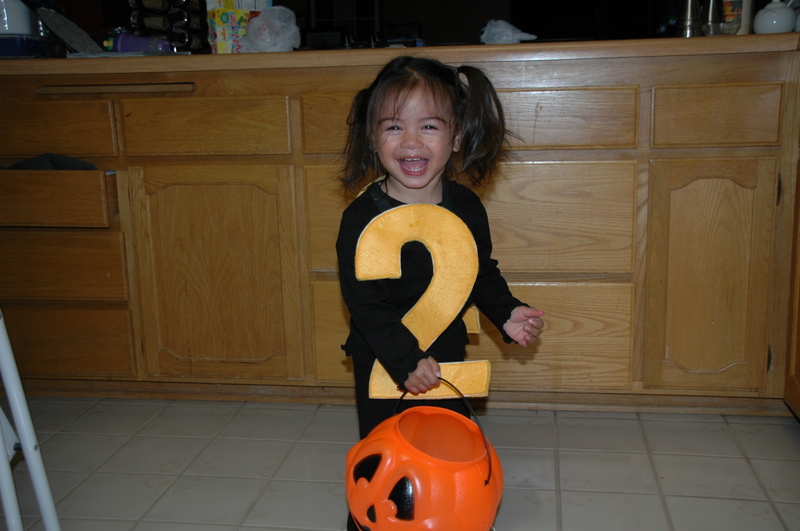 Almost 2: a “Terrible Two.” I dressed up like “The Count” from Sesame Street. Get it? 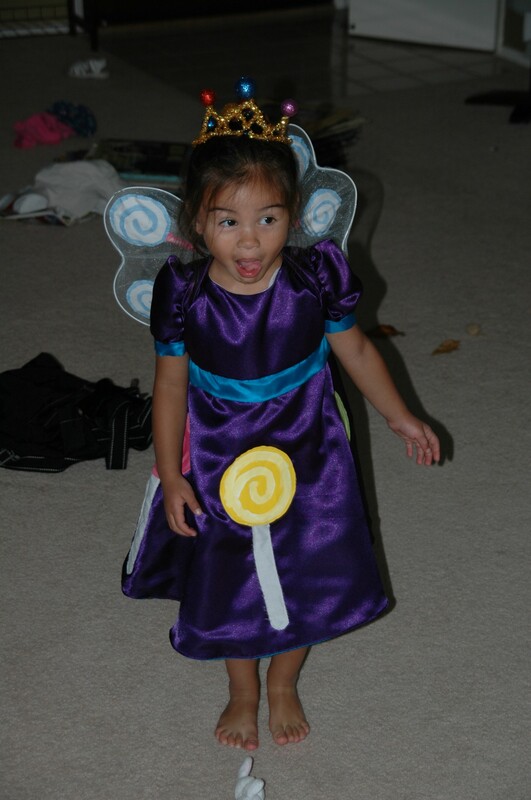 Almost 3: Princess Lolly from Candyland. We played Candyland a lot and she had a Candyland themed birthday party shortly after Halloween. So this costume served dual duty this year. 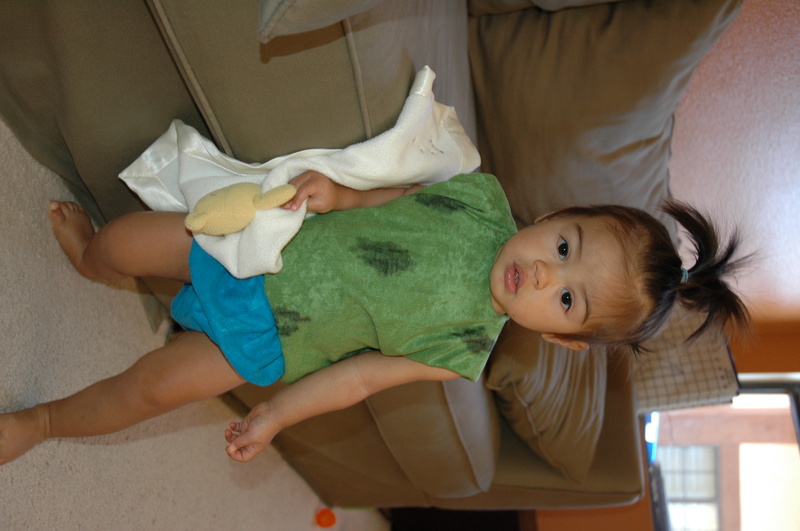 I still have this costume and my little one plays dress up with it. Almost 4 was when it got fun. She had input in her costume. 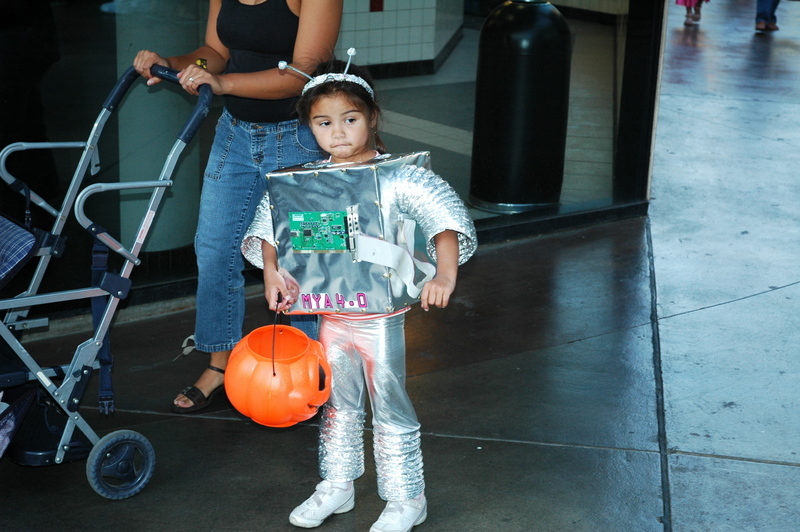 She wanted to be a robot. Poor thing had shingles when she wore this. We didn’t know it at the time and forced her to wear it because “I spent hours putting it together.” I also just had a baby, and it took a lot out of me to make this. She looked so sad. Poor baby was in pain. 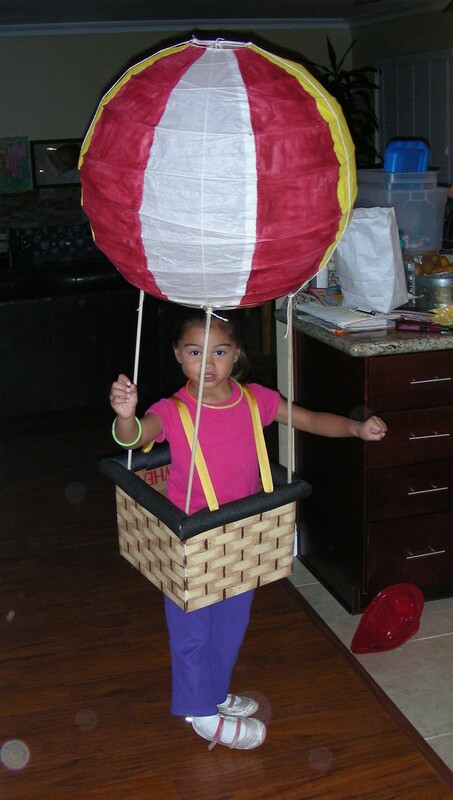 Almost 5: She wanted to be a kid in a hot air balloon. 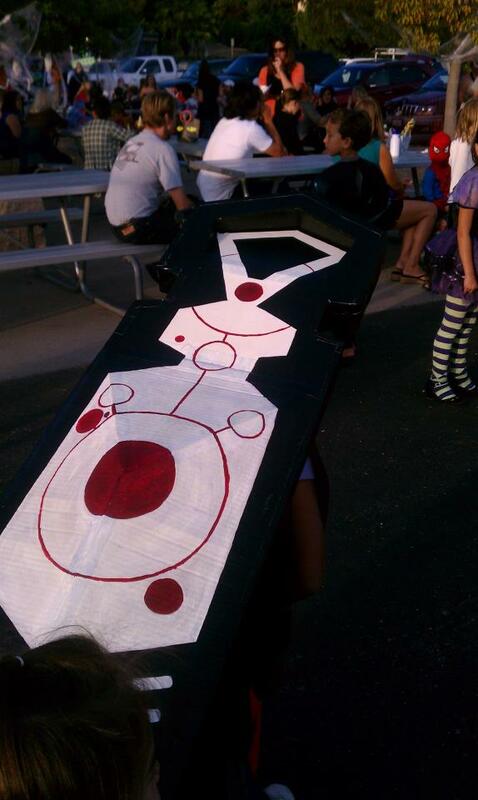 I kid you not, this costume was made and conceived before the “balloon boy” incident. By the time halloween came around, “balloon boy” was all over the news. 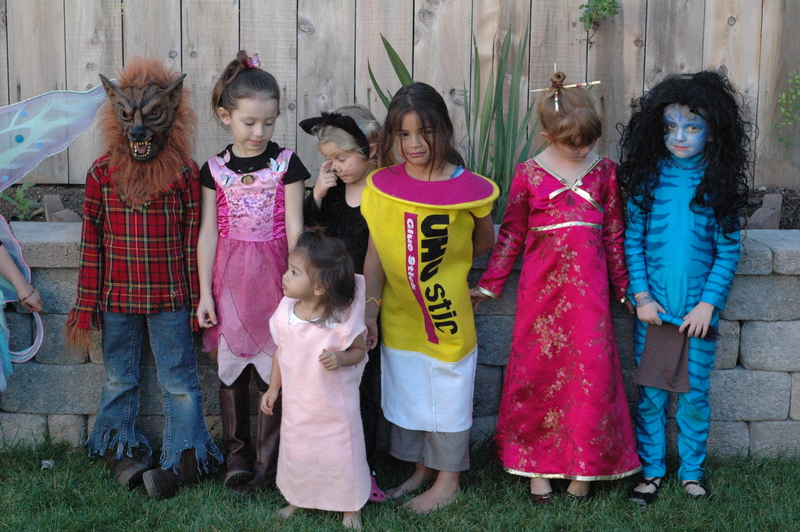 Almost 6: She wanted to be a glue stick. Yes, a glue stick. The kid loves office supplies. 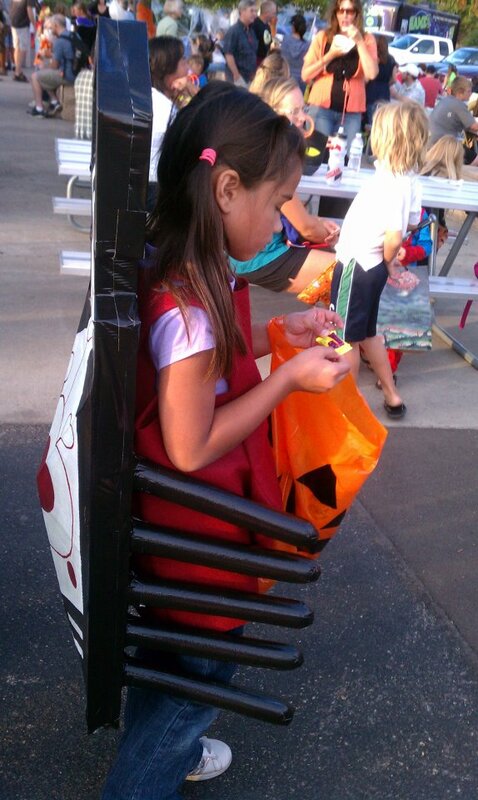 She also wanted her kid sister to be an eraser. So I made it happen using the ring holding the balloon above from the previous year. This year she wants to be a cheetah—and she just told me this two days ago. I don’t have a plan yet. 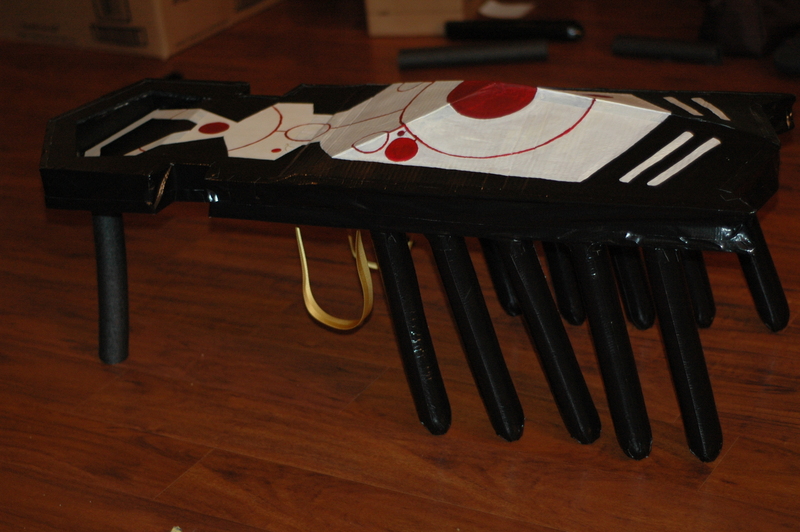 But you can bet that I’ll be whipping up something rather quickly (before the weekend, in fact). Too bad she didn’t want anything with cardboard. Those have always been the best costumes.